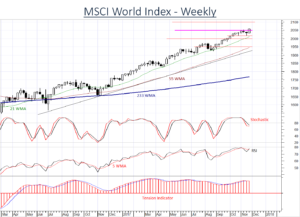 Prices have closed above the 2050, (76.4%) Fibonacci projection of the 2011-2015 rally, highlighting potential further gains into the coming weeks. 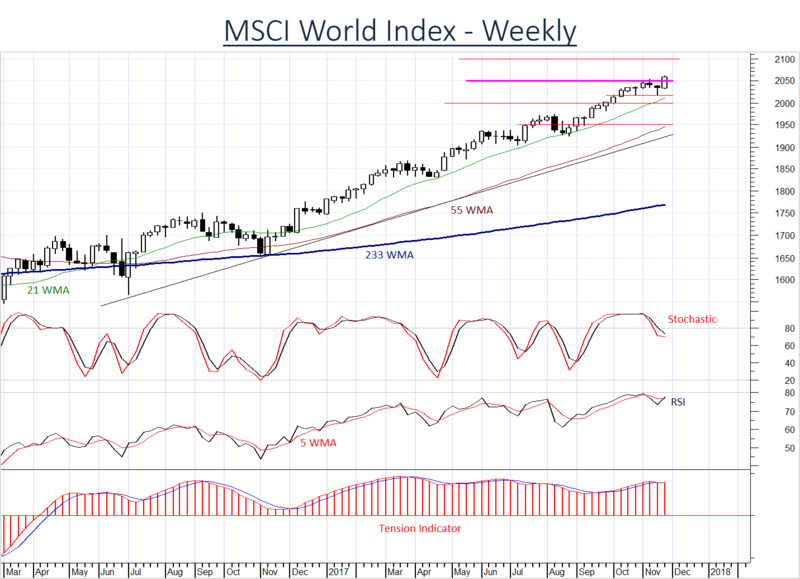 However, momentum studies and the weakening Tension Indicator suggest gains will likely prove difficult to maintain. Support is raised to the 2016~ break level. A close beneath here will prompt a fresh Downgrade. A further close below 2000 will confirm a more significant reaction and turn sentiment Negative.